Image by lhoon on flickr. Pressure on Australia to clarify climate stance as US and China move. 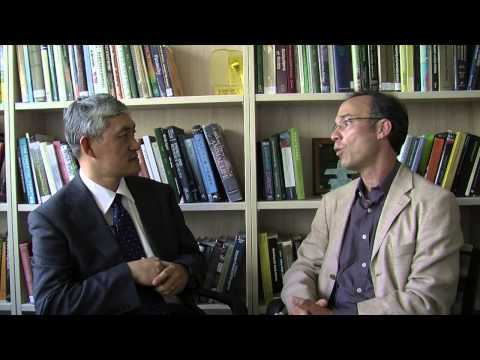 Professor Jiang Kejun, from China’s Energy Research Institute, discusses China’s energy consumption and carbon emissions in conversation with Associate Professor Frank Jotzo. China is seeing through the smog and making major inroads towards reducing carbon emissions, according to a leading expert. Professor Jiang Kejun from China’s Energy Research Institute said he thinks the Asian powerhouse’s reliance on energy intensive industries will start to decrease by 2025, allowing it to lean towards a cleaner energy future. “The peak year for energy intensive industries is coming very soon,” Professor Jiang Kejun said in a video interview with Associate Professor Frank Jotzo of the Centre for Climate Economics and Policy. Professor Jiang was speaking ahead of a public lecture at the Crawford School of Public Policy. After a decade of phenomenal growth in coal consumption, the Chinese government pledged earlier this year to cap energy consumption at four billion tons of coal equivalent by 2015. But several years of phenomenal growth, along with commitments towards existing projects that rely heavily on energy intensive industries, including new buildings, railways and roads, would in the short term increase emissions, Jiang acknowledged. He predicted China’s reliance on energy intensive industries would peak within the next ten to 15 years. “If we do a good job…we can do so by 2025,” he said. Jiang added that China would be a world leader in the drive towards a lower greenhouse gas emissions future. “Together with colleagues, for example, we can work with Australia, Japan and the United States…we can work together to make low carbon (emissions) happen, not only in these countries but also with other developing countries,” Jiang said. Energy-intensive industries have accounted for 70 per cent of China’s energy use in the past ten years. A five-year plan, announced in January by China’s State Council, seeks to increase solar energy by 89.5 per cent, wind energy by 26.4 per cent and hydropower by 5.7 per cent. Jiang was at Crawford School on Wednesday to present a paper on China’s role in keeping global warming to two degrees.